Juventus welcomed Atletico Madrid to Turin with a big task at hand. The La Liga side were coming into the game with a 2 goal lead from the first leg. Diego Simeone’s side knew that a draw or a 1 goal defeat would be enough to see them through to the quarterfinals. The Old Lady, on the other hand, needed to be at their best on the night, because they knew all Atletico had to do was sit back and defend. The Juventus Manager set his team up keeping that in mind. Szczesny started in goal, with Cancelo, Bonucci, Chiellini, and Spinazzola as the back four. Emre Can, Pjanic and Matuidi made up the midfield, while at the front, Bernardeschi and Cristiano Ronaldo started either side of Mandzukic. Juventus began the game well and pegged Atletico Madrid back right from kick off. Ronaldo opened the scoring in the 27th minute and the first half ended 1-0 to the home side. After the break, the Portuguese doubled the score, and the home side grew in confidence. Ronaldo won the game for his side when he scored from the spot in the 86th minute, sending the stadium into wild celebrations. 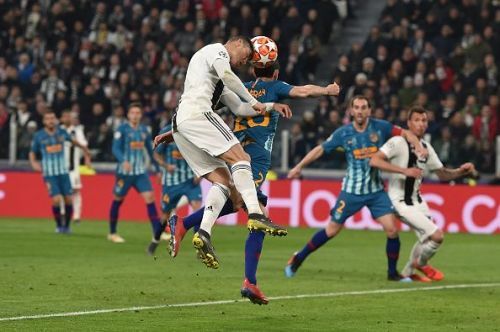 Juventus rode on the brilliance of their Portuguese superstar to win the game and the tie and advance to the quarterfinals. 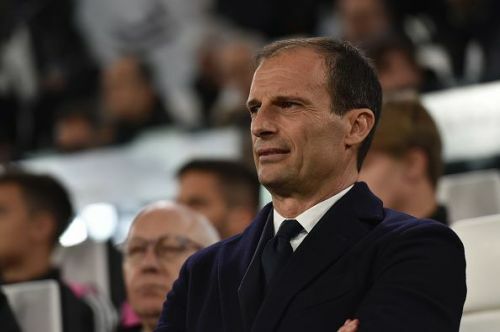 However, Allegri also deserves credit for getting his plan right and here we take a look at 5 tactics from the Juventus Manager that won the game. Juventus started the game very strongly and sent men forward right from the start in search of the decisive first goal. Allegri knew that to win the tie, he had to score first because if Atletico scored, it could have had a demoralizing effect on his team. The Serie A giants were relentless in their pursuit of a goal and were rewarded in the 27th minute when Ronaldo scored. It settled the nerves, gave the home team a sense of purpose and also got the home crowd charged up. Juventus never looked back from there. The home team started the second half similarly and it was their desire that got them the second goal and brought them back into the tie.